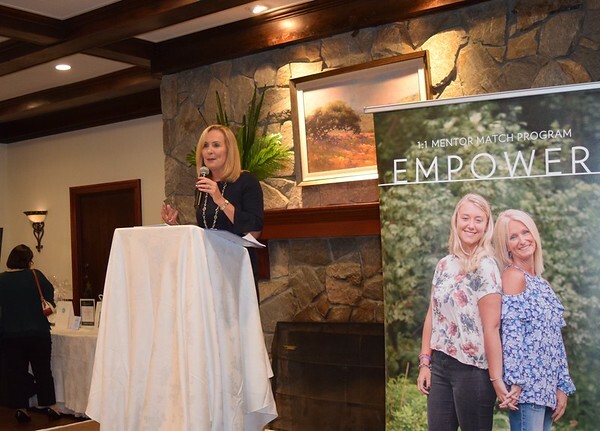 NEW BRITAIN - A toast to the many brave girls and women of empowerHER was given as the nonprofit kicked off the formation of its Connecticut chapter at the Back Nine Tavern at Stanley Golf Course Thursday evening. EmpowerHER is a Massachusetts-based nonprofit serving girls and young women who lost their mothers early in life. Its mission is to empower, support and connect girls of all ages through mentoring and events. Last month, the organization announced it will be expanding into the state. Guests enjoyed appetizers and drinks while hearing from several speakers. Award-winning broadcaster Candy O’Terry hosted the event. O’Terry said she lost her mother to cancer while she attended high school in Newington. She described being the only girl in her school whose mother battled cancer. EmpowerHER founder Cara Belvin shared her story of loss and how that influenced her into starting the nonprofit. “The one thing that I desperately wished I had was an opportunity to meet other girls like me whose moms had died and I think it would have saved years of this feeling of being isolated and feeling alone,” she said. 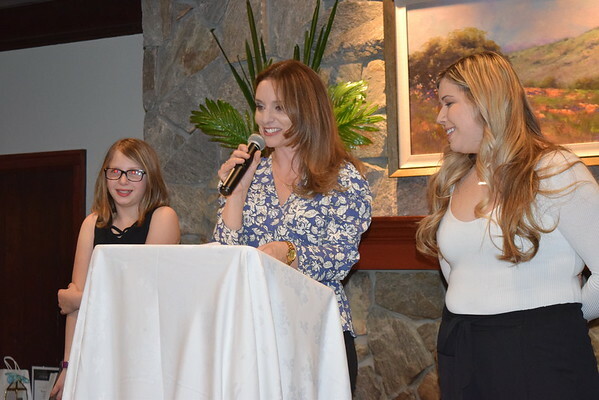 Two of the first girls to enroll in the Connecticut program bravely spoke about how the organization has benefited them. Ali Borkowski, 19, of Southington, said she lost her mother six months ago. She expressed gratitude for the support she’s received from the program. Connecticut empowerHER ambassador Laurie Faye has been Borkowski’s mentor for the past three months. Faye also lost her mother as a teenager. “This is something I was looking for my whole life,” said Faye. “When you lose a mom, it affects you every single day of your life. It’s rewarding to be able to help and support girls and young women going through it,” she added. Gianna Brini, 10, of Berlin, said the program has helped her in many ways. “I love being here. It feels so nice having people to relate to,” she said. Gianna’s empowerHER mentor, Cory Cerritelli, also lost her mother at a young age. She has been mentoring Brini for the past two months. “We have such a great connection. I wish we could spend more time together,” she said. Posted in New Britain Herald, General News, New Britain on Friday, 5 April 2019 20:05. Updated: Friday, 5 April 2019 20:08.